Let’s make an action, let’s remove corruption. Remove corruption, save your country. If we wish to remove corruption, each man has to come. Don’t support corruption, take a legal action. Don’t give or take bribe, it’s a big crime. Earn money with your hard work, not with corruption. Each daughter every son, take a vow to remove corruption. Raise your voice against corruption, save your future generations. Don’t become blind. Report a corruption crime. Corruption is a disease; it does not put your life at ease. Corrupt officers has looted this country, send them behind bars. Corruption is a serious disease, cure it, and don’t worry for fees. Stop this torture; we will not accept corruption culture. Get rid of corruption from the system, help the needy one. A country can develop only, when there will be no corruption entirely. Don’t greed for the money; it is not a real honey. Country’s common men are crying hard, stop this corruption art. Unless we don’t abolish corruption from system, no country can become a developed one. Corruption shows dishonor while honesty honor. Country without corruption is perfect for its citizens! Corruption eats country’s power and makes it empty. Praise justice and honesty, condemn corruption tree. Corruption is a hidden robber, robs us all 24 hour. We are against corruption, Are you! No to corruption. Say loudly, say proudly. 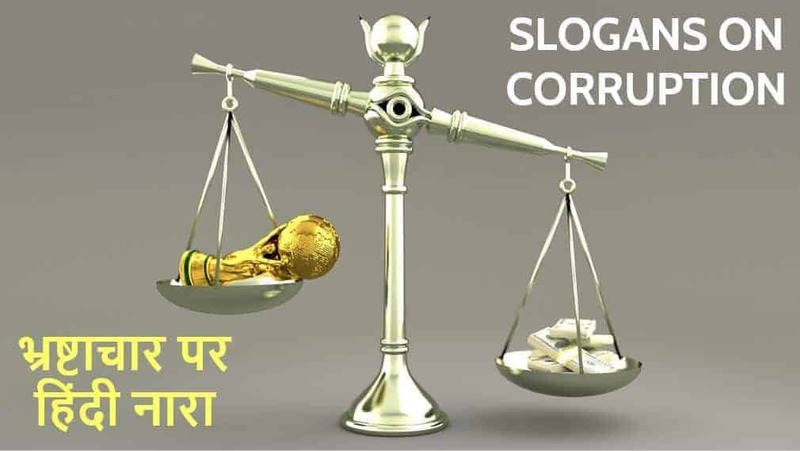 Be a participant of India against corruption. Clean India, Corruption free India! Corruption harms a common man! Your daughter my son. Corruption is not good for anybody. Come on! Raise your voice, don’t accept corruption at any choice. Corruption is a disease having no medicine. People with corruption are hungry for money! Send them in prison. As termites damage the wood in silence; so does the corruption to a nation!! Poverty, hunger and Illiteracy are only few devils of corruption!! Every single NO to corruption is a YES to better health, economy and education!! The devil has many faces; dishonesty, fraud, bribery, falsification and abuses!! Like the goons love violence; so the corruption loves silence!! The hungry child and broken road; fighting for them will turn you into gold! !